Three of our most popular bar top promotion games that can be used to drive sales, raise funds at the bar or as a sidestall at your fete or funday. Spin The Wheel - 12 numbers on a chalkboard wheel (61cm high x 50cm wide). Open The Box - 12 Keys, Drawbag and painted door with lock. Only one key opens the box. 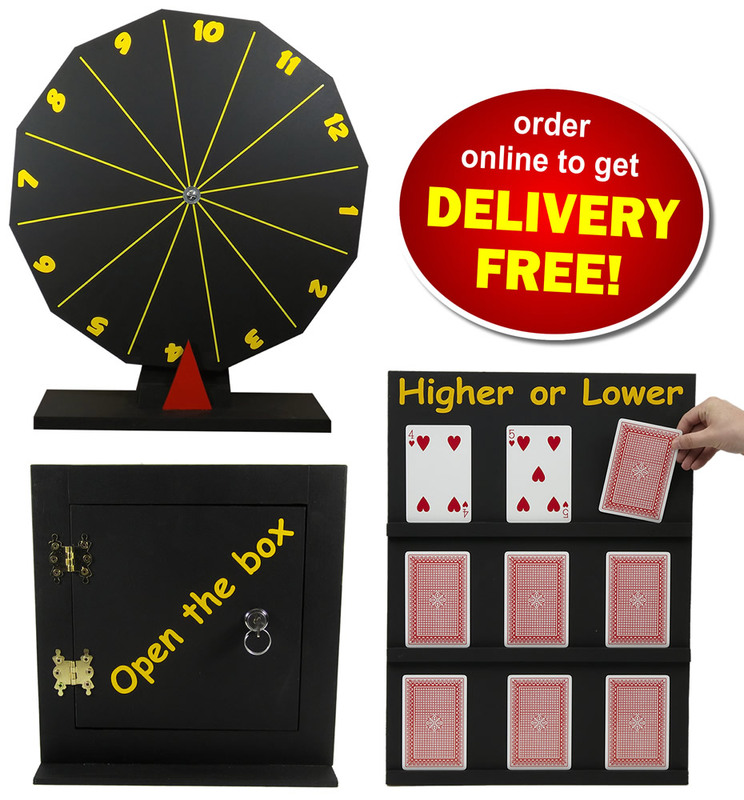 Higher Lower - Play Your Cards Right game frame and large playing cards. These fantastic games can pay for themselves several times over in increased sales and raised funds.